As we approach the year-end of bird-hunting season it’s common to reflect back and remember the dog work and great shots we made. We also start thinking about the misses that make you wonder “How?” This is usually followed by a promise made to be a better shot in 2019. Follow these four very important tips that will help you keep your promise. How thrilling is it when we have a brand new woodcock covert to explore? Maybe you stumbled upon it during fishing season or while hunting mushrooms. Or maybe it is a covert you helped create with other volunteers with the same passion. From the acres of rich, moist soil grow trees, alders, hawthorns, birch and poplar. Every so often they are dotted by the occasional old bull pine. It’s a little slice of heaven. The Holy Grail of shotguns can mean many things. The driven bird shooter desires a break action with long barrels like a clays gun but stocked like a game gun. Dove shooters love their nimble sub-gauge auto loaders especially with the three round capacity. And of course the waterfowler needs the recoil taming and durability of a synthetic stocked cannon. In the Northern region our early bird seasons include a unique bird, the American woodcock. 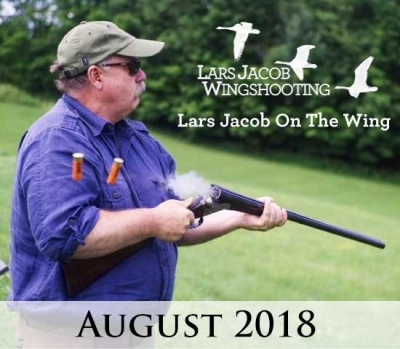 With their “here today, gone tomorrow” migrations, this article will discuss finding the perfect woodcock gun. Two years ago, I was living in an apartment in the basement of a brownstone in Park Slope, Brooklyn. I was working in private practice as a psychiatric nurse practitioner and spending most of my weekends driving two hours both ways to upstate New York to do something in the outdoors. I was tired and burnt out and when a relationship I had been in ended, I needed a change. Little did I know that the catalyst for that change would be my seven-year-old black Labrador, Goose. A few months ago I sent out a newsletter for Detail Company Adventures, in which we delivered the destination hunting trips offered by our new Big Game/Fishing consultant, Larysa Switlyk. The newsletter is not what I want to talk about today; the replies I received are the real story. In my early years of bird hunting I started a bucket list by pouring over the magazines by my father’s Lazy Boy. I would memorize item numbers in Lyon Country Supply, and dream of the day I had my own real bird dog. Dreams of skidding points, and huge Canadian geese in the decoys, banded green heads and woodcock over a Llewellyn or any other bird hunt I could read about and absorb. I’m extremely proud of my good buddy, Eric Harrison of Joshua Creek Ranch, who received the 2017 Orvis Endorsed Wingshooting Guide of the Year. Eric and I have been friends for many years, and I know him as a great guide and father. 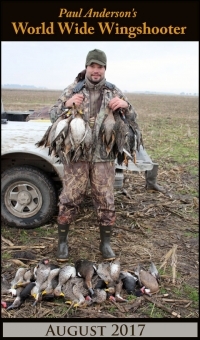 Many of Shotgun Life’s readers have hunted with a guide like Eric or Eric himself at some point. I thought it would be helpful to sit down with him for a quick Q&A to discover what it takes to be a winning wingshooting guide and how you can benefit from hunting with someone like him. In 2003 Chris Mathan paid homage to Mr. Taplin by starting her own business called The Sportsman’s Cabinet, which brought her highly acclaimed dog photography to an Internet audience. Ms. Mathan’s Sportsman’s Cabinet started when, after seven years as a senior designer and art director at one of Portland, Maine’s most prestigious advertising agency, she opted to become professionally immersed in upland bird hunting and pointing-dog field trials. Wild quail hunting can be found from Mexico to the uplands of California to the northern Midwest across the country to the so-called Golden Triangle of Georgia. North America itself is home to several quail species that live in assorted habitats and regions. Given the incredible variety of quail hunting opportunities there are many ways a hunter can get on birds – making these challenging birds available for an array of budgets and skill levels.